In 2011 Kyle Spence played alongside Jeremie Boga (recently signed for Sassuolo from Chelsea) and Patrick Roberts (Manchester City) as part of the Surrey Schools FA U14 county team that went on to win the National County Cup. His career has taken a different route to the aforementioned since then. The midfielder now plays his football in Norway for Valdres Fotballklubb but at least he is getting first team football. It wasn’t a move that Kyle hesitated over. His football club is based in Fagernes which is approximately 3 hours North-West of Oslo. The idyllic settlement in the valley of Valdres is a far cry from the fast paced life of his hometown Croydon. With a population of just 1,800 Spence is enjoying the chilled out feel of Norway. The midfielder isn’t the only Brit in the Valdres squad with Ryan Nelson and Dominic McGiveron also on board which has made it easier to settle in since his move in February. A hat-trick on his debut did no harm either! Despite the cultural difference among many other things, the 21-year-old believes the level of football he was experiencing in England isn’t too different to the game he’s playing now. 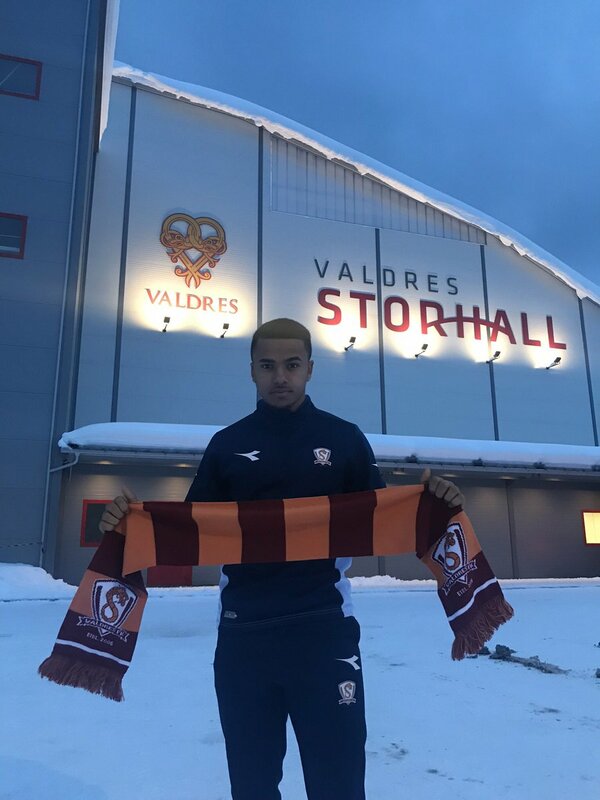 Valdres play in Division Three in Norway, the fourth tier, and it has been good for Spence to have a sustain run in the team at one club after a stop start period with some moves after leaving Coventry City last year. At youth level with Crystal Palace he had some Eagles legends to help guide him along from young age, even showing him literally how to do things a lot of the time. Despite being born in Surrey, Spence’s international honours so far have come with Scotland. The head scout for Scotland had spotted him at Palace and before he knew it he had been called up to represent them in a tournament. “I was U16 playing in the Category 1 status , and I have Scottish on my Mum’s side through my Grandad and it got around to Mick Oliver who was the Head Scout for Scotland. So he came down to watch a few of my games, from there my coach at the time Ben Garner came up to me after a training session one day and said there is interest from Scotland and they’ve invited you to a training camp with the year above (u17) coached by Mark Wotte and Dean Gorre. Then all of a sudden 2 weeks later I’m off to Moscow , Russia for a tournament where I made my debut against Latvia and scored my first goal vs Turkey”. 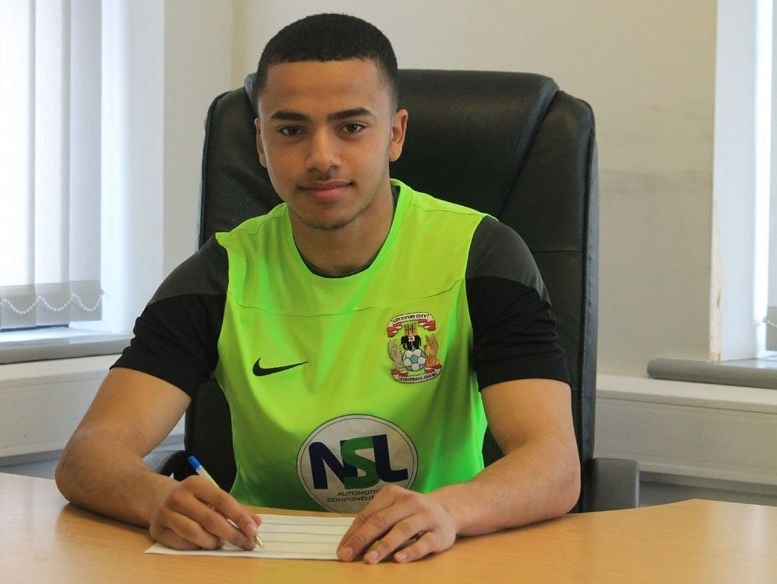 A couple of years later, and now at Coventry City and he was making his professional debut in a Football League Trophy win against Wycombe Wanderers as an 80th minute substitute. Signing for Valdres FK, where a scarf is definitely needed! So what next for the young winger making his way in Norway? He’s getting great first-team experience in a different climate, which has to be better than playing reserve/youth football in most other places. With everything going so well for him at the moment, Spence sees know reason why his immediate future would lie anywhere else. When asked if he sees his career in Norway extending he is very open to the possibility.